Tim Hilleary Construction - Breaking ground in the Bay Area for over 40 years. Welcome to Tim Hilleary Construction. Located in Palo Alto, Tim Hilleary Construction has been servicing the bay area for 40 years. 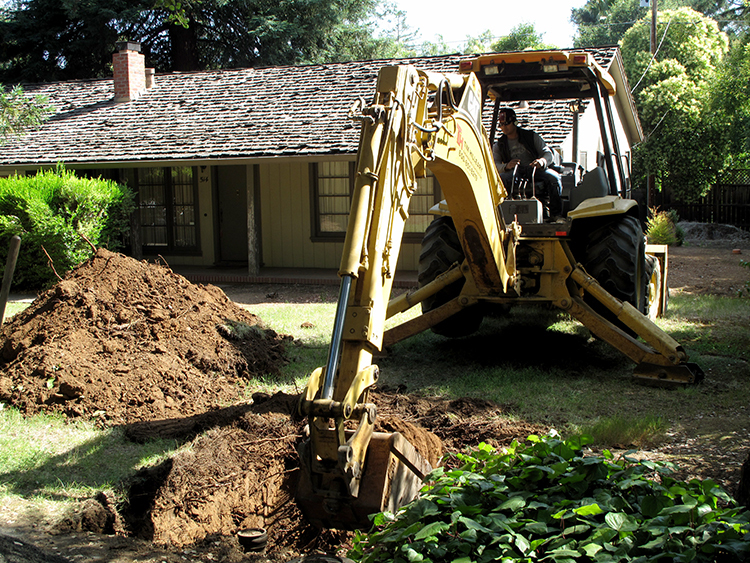 We are a small general engineering construction firm doing bridge work, excavation and grading, foundation, storm drainage, sewer, septic, water, PGE utility, and demolition. We work with owners and contractors to customize the job to meet their needs. We have a great safety record and hope to work with you soon. Tim Hilleary is more than just a construction company – We have an excellent OSHA safety record and want to work with you on your next project. We can handle the permit process and inspections for you. We are licensed, bonded and fully insured with liability and workmen’s compensation. While these are just a sampling of common services we offer, you can see our full list of under SERVICES. Tim Hilleary Construction owns and operates a well maintained fleet of late model excavators, dozers, wheel loaders, mini excavators, track loaders, skid steers and all types of compaction equipment. Tim Hilleary Construction brings superior expertise to demolition projects. We make demolition a turnkey process, from initial consultation to disposal. We perform all types of Demolition from small to large. Removing your swimming pool can reduce hazards and liability, and expand the number of potential homebuyers. We can demolish and fill in any size in-ground or above-ground swimming pool. We are happy to provide free estimates for system installations including Gravity and Force Mains, Lateral Tie-ins, and Septic. Digging it up in the Bay Area. Tim Hilleary Construction is based in Palo Alto, California and services the San Francisco Bay area communities. Please contact us to discuss your service location!